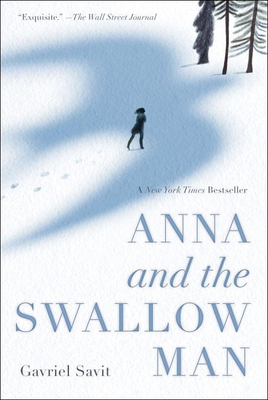 Set in Poland during the Second World War, Anna and the Swallow Man is a stunning, literary, and wholly original New York Times bestseller perfect for readers of The Book Thief. Krakow, 1939. A million marching soldiers and a thousand barking dogs. This is no place to grow up. Anna ania is just seven years old when the Germans take her father, a linguistics professor, during their purge of intellectuals in Poland. She's alone. The Swallow Man is not Anna's father she knows that very well but she also knows that, like her father, he's in danger of being taken, and like her father, he has a gift for languages: Polish, Russian, German, Yiddish, even Bird. When he summons a bright, beautiful swallow down to his hand to stop her from crying, Anna is entranced. She follows him into the wilderness. A] quiet exploration of love and its limits. The Bulletin, Starred. Gavriel Savit holds a BFA in musical theater from the University of Michigan in Ann Arbor, where he grew up. As an actor and singer, Gavriel has performed on three continents, from New York to Brussels to Tokyo. He lives in Brooklyn. This is his first novel. Learn more about Gavriel on the Web at GavrielSavit.com.